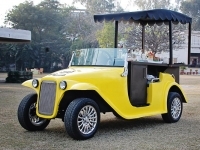 Bar Counter Cart- Serve your guests in this fancy electric mobile bar! 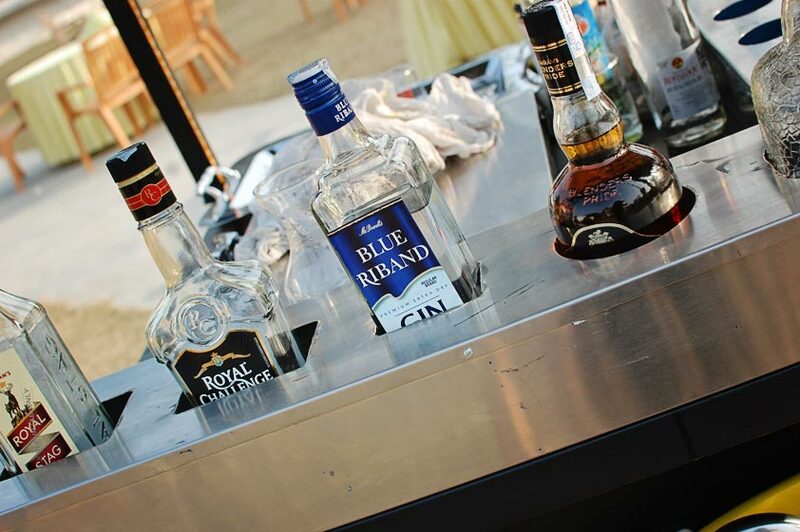 Bring the Royale Bar right to your Guests! 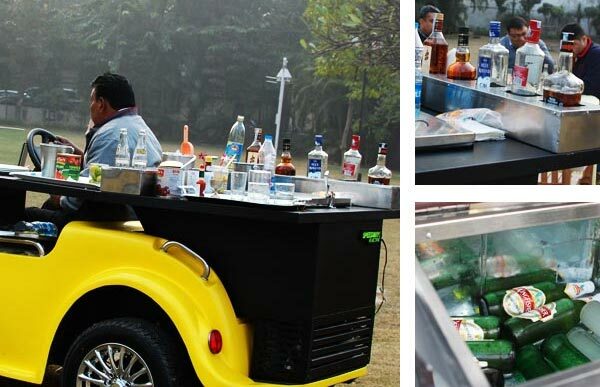 Bring the bar counter right to your guests! 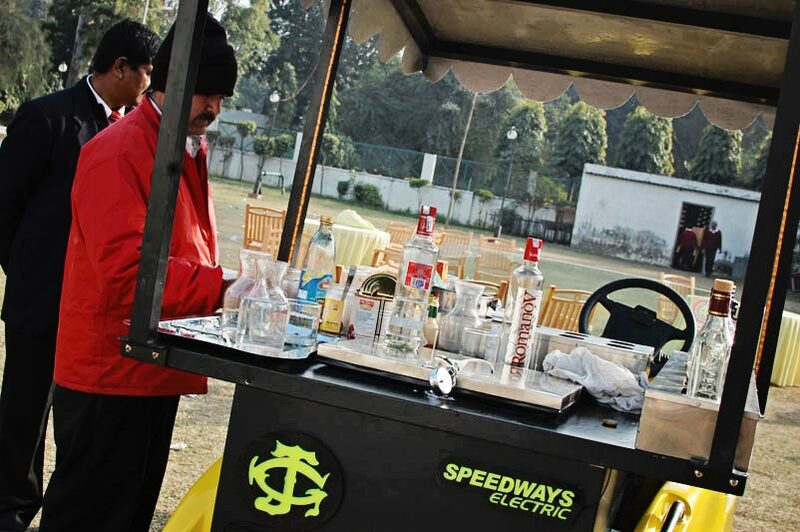 Speedways Electric presents the Bar on Wheels – our mobile bar counter – based on its vintage Royale electric model. 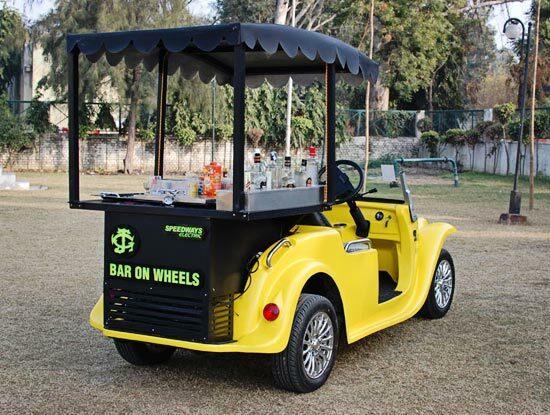 The Bar on Wheels is a fully functional bar counter that consists of custom storage to contain bottles, glasses and bar instruments as well as an inbuilt deep freezer that can be used to maintain the temperature of drinks. 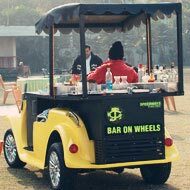 The Bar on Wheels is a battery operated, eco-friendly bar counter vehicle that has no-noise, no-pollution and inexpensive running costs. 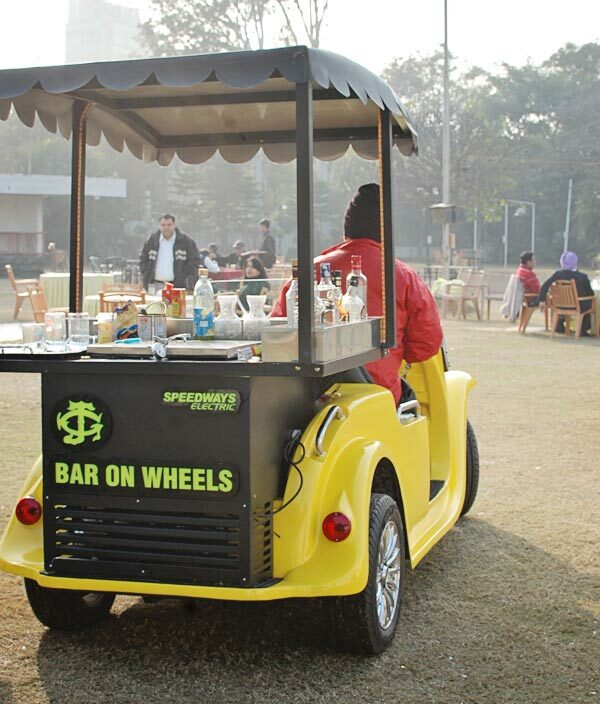 With an inbuilt deep freezer, you can keep the beer and soft drinks chilled even in the hottest Sun. Keep ice handy at all times without having to make runs to the kitchen. 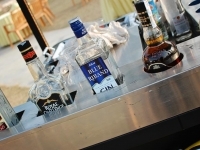 Customize the design and look of the bar counter to match your brand and requirements. Our in-house design team will cater to your every request. 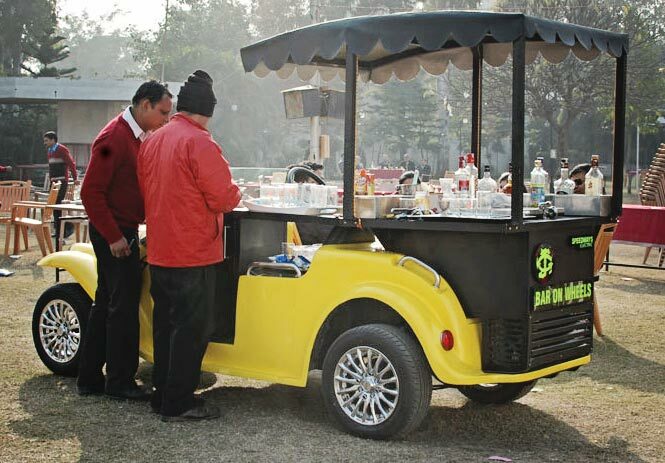 Bar on Wheels is customized to your exact requirements. 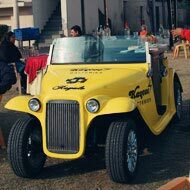 From bottle space to preparation areas, everything is built to order. 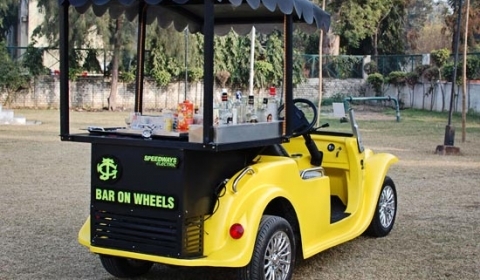 Contact us today to know how we can build a custom bar counter on wheels for you! 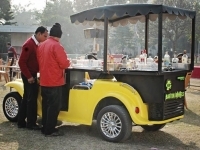 Ask us how we can serve you to serve your customers better! 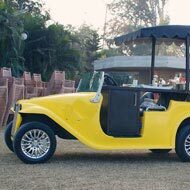 With the ability to drive around and get to your guests in style, with everything built right on the wheels themselves – no one has to wait for their turn anymore. 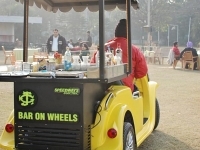 Preparation is right on deck and so is billing and processing. Can it get any easier? We think not! 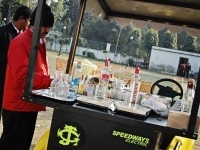 Our electric bar counters are fully customizable for your needs!